Looking for proven ways to improve your social media marketing? 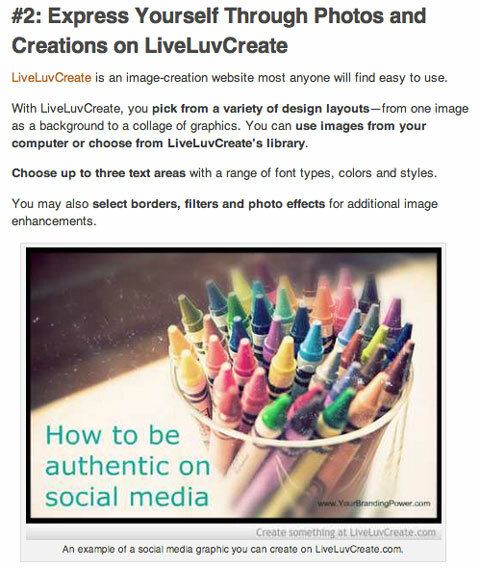 Wondering what resources you should read to boost your social efforts? We’ve compiled a list of our top ten articles from the recent past, each focused on a different social network. You’ll discover proven techniques to get your marketing on the fast-track to success. Why a Top 10 List? Nearly five years ago Social Media Examiner® launched to help business owners learn how to best use social media, blogs and podcasts to connect with customers, drive traffic, generate awareness and increase sales. 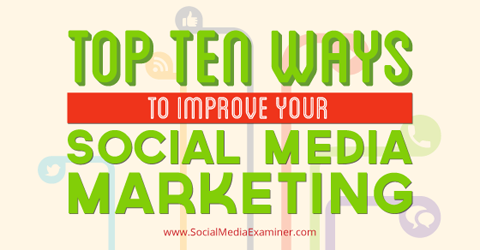 Explore the top 10 ways to improve your social media marketing from Social Media Examiner. To celebrate, we’ve rounded up some of the most popular posts. And if you’re curious, we published our very first article, Top 10 Easy Steps to Starting a Business Blog by Denise Wakeman, on October 12, 2009. 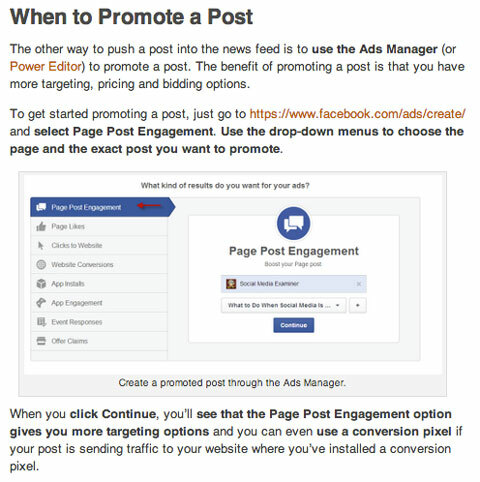 #1: Boost Posts or Promoted Posts on Facebook: Which is Better? : Find out the differences between the boost posts and promoted posts, and how to choose which is right for your marketing efforts. #2: 8 Types of Twitter Cards Businesses Are Using: Do you know what a Twitter card is? 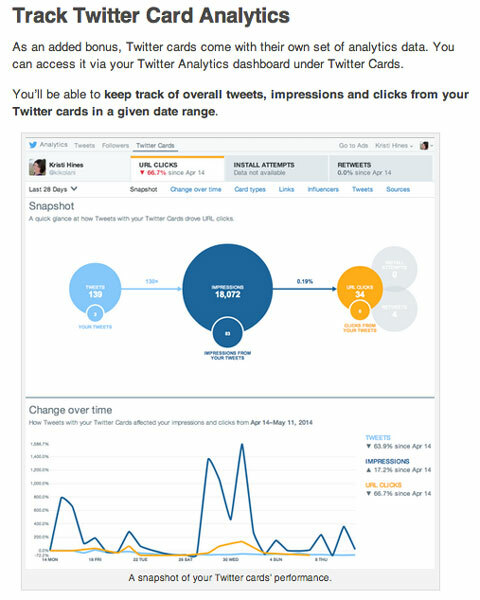 This article shares eight types of Twitter cards, how to install them and their analytics options. Published on June 4, 2014. #3: How to Improve Your LinkedIn Profile: Do you want to make the most of your LinkedIn profile? 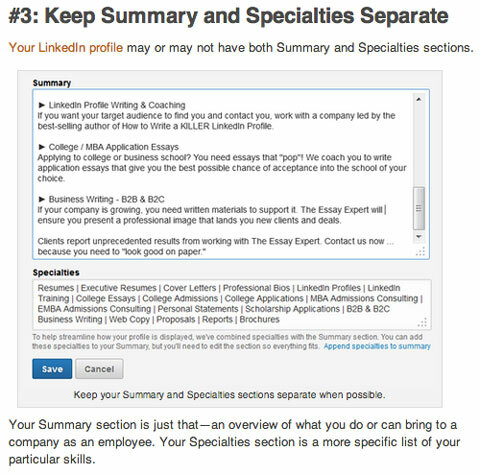 This article reveals special features that enable you to make the most of your LinkedIn network. #4: 6 Simple Photo Tools for Creating Social Media Visuals: Create graphics, collages, add text, edit pictures and make cover images for your blog or social media profiles without using Photoshop. 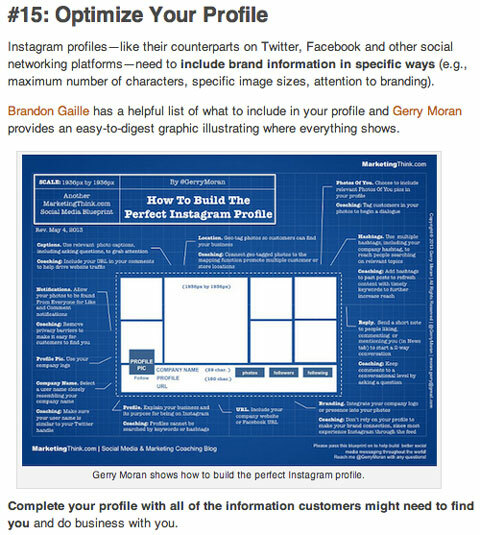 #5: 26 Tips for Using Instagram for Business: Instagram for business: discover useful tips from the pros on how to use Instagram to enhance your customers’ experience and make your brand visible. Published on September 10, 2013. 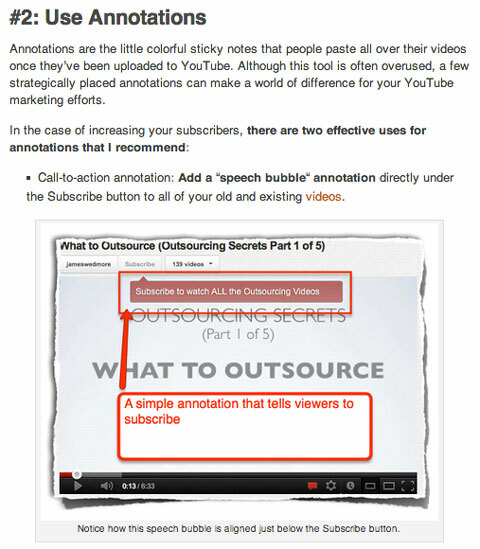 #6: 6 Ways to Grow YouTube Subscribers and Your Exposure: YouTube Marketing Strategy: How to get subscribers with strategically placed annotations, call-to-actions, your blog and Featured Channels. Published on May 15, 2012. #7: How to Use Google Analytics: Getting Started: Do you need a deeper understanding of Google Analytics? 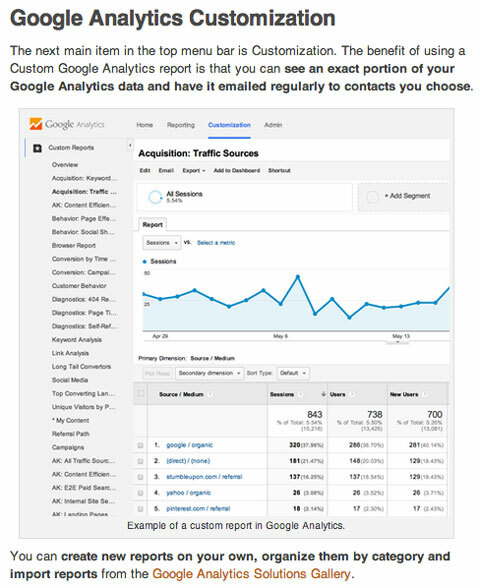 This article shows the basics of navigating Google Analytics and what you need to set up now. Published on June 24, 2014. 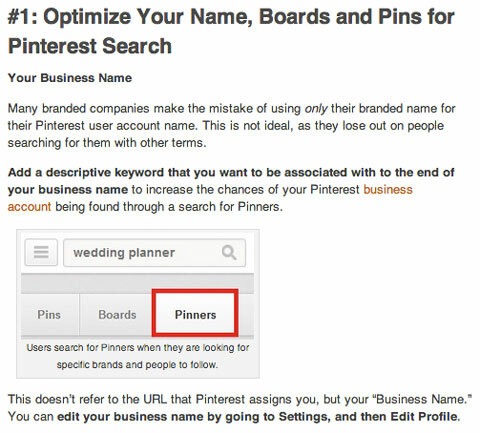 #8: 5 Ways to Get Your Pins Noticed on Pinterest: Use these Pinterest tips to create a great strategy for your pins to be seen not only by users who follow you, but also by new users. Published on November 19, 2013. 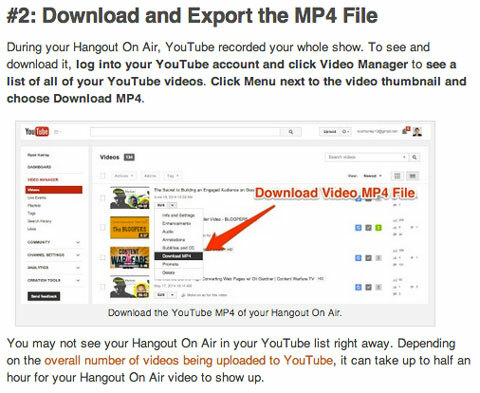 #9: 3 Steps to Create Podcasts with Google Hangouts On Air: Want to double the size of your podcast audience? Here’s how to create podcasts with Google Hangouts On Air and gain a live audience for your podcast. #10: 11 Ways to Get More Followers for Your Google+ Business Page: Do you want to grow your Google+ business page? 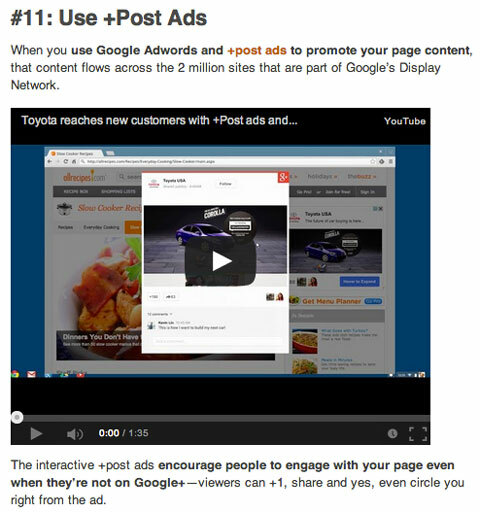 This article shows 11 ways to get more followers for your Google+ Page. What we really want to say is thank you. Thank you, the writers, for sharing your knowledge, experience and expertise here. And thank you, to all of our readers, for spending time with us, for allowing us into your inbox and for sharing us with your friends, peers and colleagues. We’ve enjoyed growing with you and look forward to another year. What do you think? How many of these articles have you read? 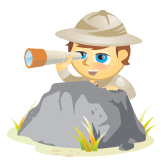 If your favorite Social Media Examiner article isn’t listed, tell us about it in the comments.